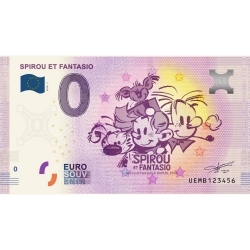 This 0 € note is a commemorative bank note in limited print. 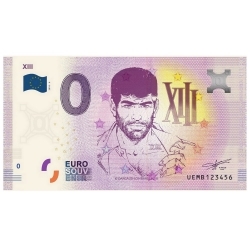 XIII from the new Euro Souvenir banknote collection featuring the heroes of the European comic strips. Edition limited and numbered to 5000 copies. This 0 € note is a commemorative bank note in limited print. 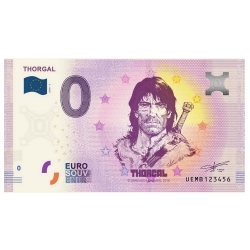 Thorgal from the new Euro Souvenir banknote collection featuring the heroes of the European comic strips. Edition limited and numbered to 5000 copies. 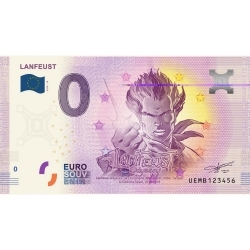 This 0 € note is a commemorative bank note in limited print. Lucky Luke from the new Euro Souvenir banknote collection featuring the heroes of the European comic strips. Edition limited and numbered to 5000 copies. This 0 € note is a commemorative bank note in limited print. 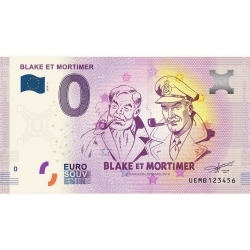 Blake and Mortimer from the new Euro Souvenir banknote collection featuring the heroes of the European comic strips. Edition limited and numbered to 5000 copies.